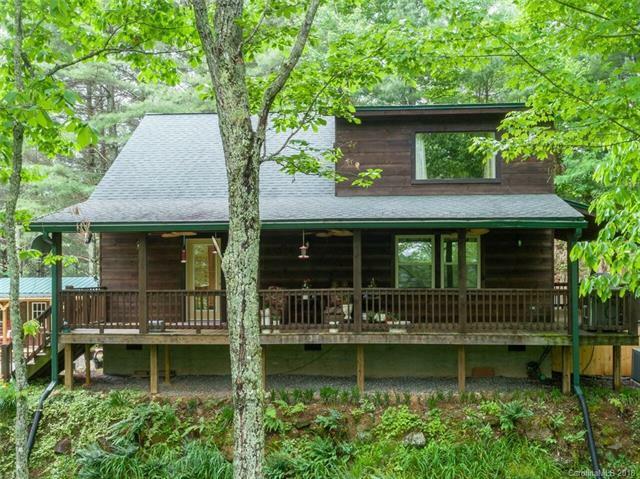 Move up into the mountains so far, you can't be found... Tucked away in the Plott Balsam Range of historic Sylva, this well-kept, 2 bedroom with 3rd bonus cabin is surrounded by mountain vistas yet offers total woodland seclusion for cool evening breezes in the height of summer. Enjoy abundant natural light throughout, covered wrap around decks, sunny garden areas, a spacious separate workshop plus storage building & all the comforting amenities (including a corner fireplace). Easy drive to Cherokee, Maggie Valley or Asheville, this home was never a rental & rarely lived in full time for nearly new condition- Bring your front porch rocking chair, turn the key & live your rustic cabin dream!